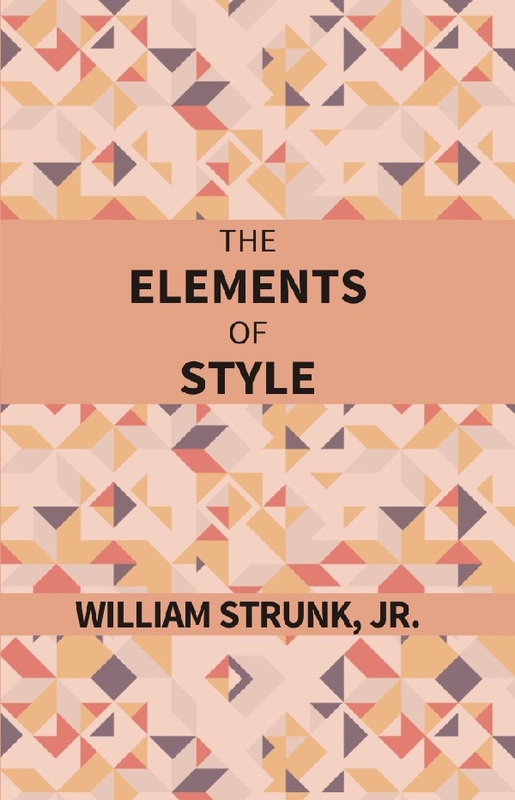 The original “Elements of Style” was a text book written by William Strunk, Jr. for his Cornell English Class. It contains eight rules of uses, ten rules of composition, some notes on miscellaneous matters of form in writing (such as headings, numerals, and quotations), and list of commonly misused and misspelled words. In 1957, after strunk’s death, it was extensively revised by his former student E.B. White, best known today for his children’s book. White expanded the original section and added an additional section on style. The first section on basic grammar rules is the most susceptible to the English textbook problem. It is with the second section that “The Elements of Style” leaves ground well-trod by grammar texts and becomes a work of art. William Strunk, Jr. (1869-1946) was an American professor of English at Cornell University. Strunk first taught mathematics at Rose Polytechnical Institute in Terre Haute, Indiana in 1890-91. He then taught English at Cornell for 46 years, and was elected to Phi Beta Kappa, disdaining specialization and becoming an expert in both classical and non-English literature. In 1922 he published “English Metres”, a study of poetic metrical form, and he compiled critical editions of Cynewulf’s Juliana, several works of Dryden, James Fenimore Cooper’s “Last of the Mohican”, and several Shakespearean plays. Strunk was also active in gathering known as the Manuscript club. In 1918, Strunk privately published “The Elements of Style” for the use of his Cornell students, who gave it its nickname “the little book”.